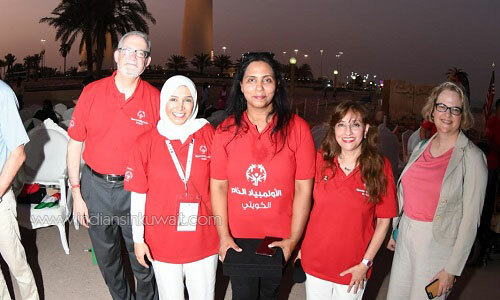 In celebration of the 50th Anniversary of the establishment of the Special Olympics, the Kuwait Special Olympics for People with Intellectual Disabilities celebrated the launch of several events starting on Thursday, 19th of July at Al-Hamra Tower, where it received Special Olympics athletes, volunteers, employees and visitors to the Al-Hamra Tower. They made a special inducting campaign about the Special Olympics and define its goals, achievements and the contributions that will be made and the most important programs of the Olympics. The ceremony then was moved to Kuwait Towers and was held at 6:00 pm on the same day in the presence of Sheikha/ Sheikha Al-Abdullah Al-Sabah, Honorary President of the Kuwaiti Sports Club for the Handicapped, Dr. Shafeeq Al-Awadhi, Director General of the General Authority for Disabilities, Dr. Nadia Abel, Deputy Director General of the General Authority for Disability Affairs. 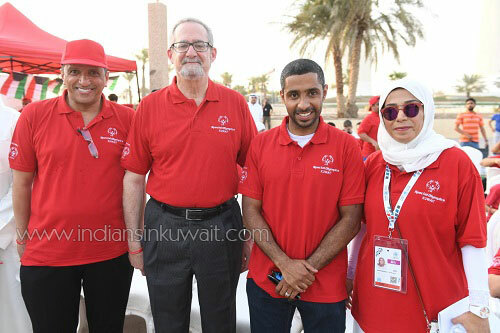 US, The United Kingdom and the Federal Republic of Germany Ambassadors as well as volunteers and guests of the Indian Embassy, in addition to members of the Special Olympics Office of Kuwait and members of the Board of Directors of Al-Tomoh Kuwaiti Sports Club were among the presents. 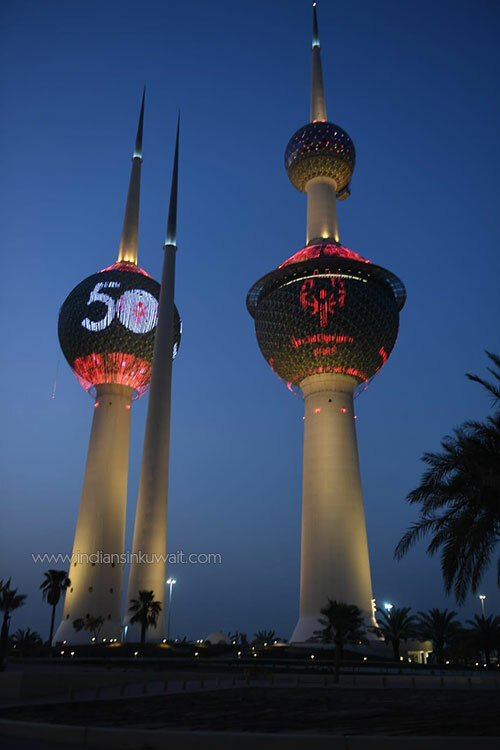 The events started with the opening word and then lightning the Kuwait Towers in red and the logo of the Special Olympics under the theme of ”Inclusion” appeared . On this occasion, the most important buildings and towers from all over the world were lighted in red and the Special Olympics logo to support the inclusion of people with intellectual disabilities in all aspects of social, scientific and other life aspects. In addition to the Kuwait Towers, the Alhamra Tower and the Oridou Company Building were lighted in red in support of this occasion. On Friday, the celebration continued and moved to the Avenues Mall in the new phase where Special Olympics athletes with intellectual disabilities made paintings related to the 50th anniversary in cooperation with the painter Hamad Al-Humaidan and the Avenues Complex and they were displayed in the Complex. On Friday evening, the Avenues Building in the new phase was lighted in red color to coincide with the celebration. 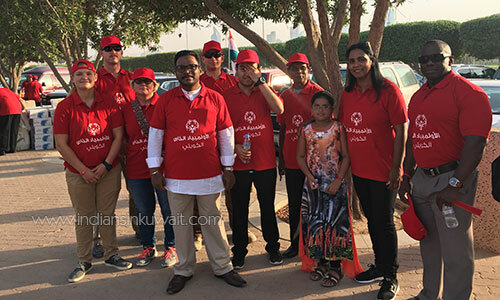 On Sunday and Monday, a team of volunteers organized an induction campaign at Kuwait's hospitals about the Special Olympics to raise the public awareness of the most the Special Olympics’ important goals and activities. In conclusion, the Kuwaiti Special Olympics noted that these activities aim to support the principle of inclusion and acceptance of persons with intellectual disabilities, demanding their rights and providing all their needs in various aspects of life.